WEIRTON — Weirton officials feel the recent Regional Economic Diversification Summit already is paying dividends for the community. During an informational workshop Wednesday morning, Weirton City Manager Joe DiBartolomeo said there were multiple potential projects in the city as a result of discussion during the REDS, held Oct. 29-30. The summit included a riding tour of property owned by the Frontier Group of Companies, as well as areas of Main Street and the Three Springs Business Park, and a series of roundtable discussions focusing on transportation, economic development and workforce development. Mayor Harold Miller said he plans for the city to have regular conversations with many of the agencies involved in the summit, in order to continue discussions and develop potential projects for the area. “We’re going to keep in contact,” Miller said. Ward 6 Councilman Enzo Fracasso, who was among the city officials who attended the summit, said he feels it was beneficial for the future of Weirton and the Ohio Valley. “I could not believe the money that’s out there that we’ve never tapped into,” Fracasso said. DiBartolomeo also expressed his appreciation to Weirton Transit, several city employees, the Army Corps. of Engineers, the U.S. Economic Development Administration, the U.S. Environmental Protection Agency and others for their work to organize the event. One project which could be moving forward as a result of the summit is discussion of upgrades to the city’s water treatment and wastewater treatment facilities. 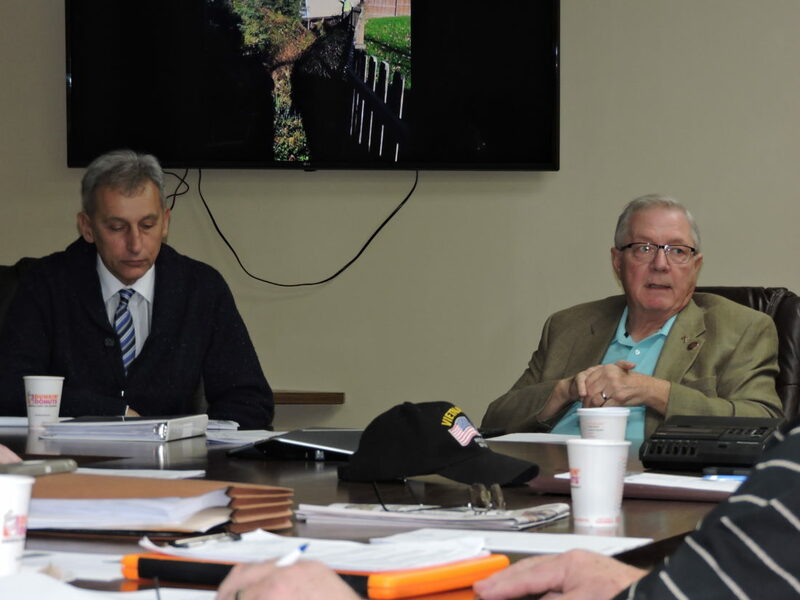 In recent months, council as well as the Weirton Area Water Board and Weirton Sanitary Board have discussed forming a task force to begin planning such expansion to answer potential business and residential growth. DiBartolomeo said some funding already has been committed to assist with construction of a sanitary facility. “We’ve got a commitment from the EDA,” DiBartolomeo said. Utilities Director Butch Mastrantoni said Thrasher Engineering is working on engineering proposals, and the task force will be charged with studying the proposals, financing options potential demand for service in the future. “If we’re going to upsize, we need to upsize intelligently,” Mastrantoni said. Mastrantoni said if the expansion project moves forward, it could take between three and five years to complete.